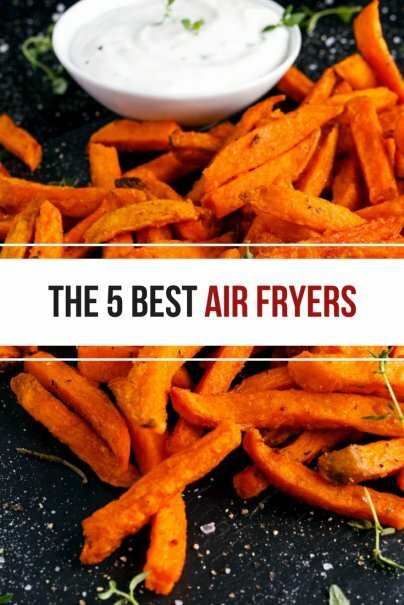 If you want to eat healthier, while still enjoying all of your favorite foods, then the air fryer may be exactly what you’ve been looking for. Cooking with an air fryer can offer a healthier alternative to traditional deep frying. You can quickly, easily cook all of your favorite foods to perfection using little or no butter or oil. This can result in dishes with up to 80 percent fewer calories. An air fryer is a kitchen appliance that circulates hot air, evenly cooking the food so it comes out crispy on the outside and tender and juicy on the inside. Many reviewers agree that this is their favorite kitchen gadget because it perfectly cooks and fries a wide variety of foods with ease. 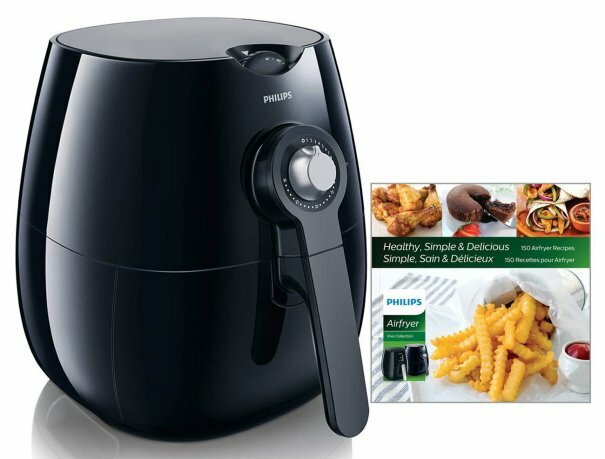 The Philips Original Airfryer comes from the world’s leading low-fat fryer brand, with over seven million units sold. A range of accessories allows you to fry, grill, roast, steam, and even bake. It allows you to fry healthier with up to 75 percent less fat using rapid air technology. The unique and patented starfish design circulates hot air around the entire unit, ensuring all food is cooked quickly and evenly. You can easily set the cooking time and temperature and it shuts off automatically and alerts you when the food is ready. It is also dishwasher safe for easy cleaning. This is available in two colors. It also includes five exclusive Gordon Ramsay recipes for the airfryer and a 150+ recipe cookbook and free app. It is frequently recommended online by sites like BuzzFeed and has outstanding reviews, including hundreds of five-star reviews on Amazon. The Power Air Fryer XL is a six-in-one device that allows you to air fry, bake, steam, sauté, grill, and roast with ease. It uses 1,500 watts of turbo-cyclonic power to surround your food with superheated air (instead of oil). It uses rapid air technology to heat the air up to 400 degrees to quickly, evenly fry or cook food. 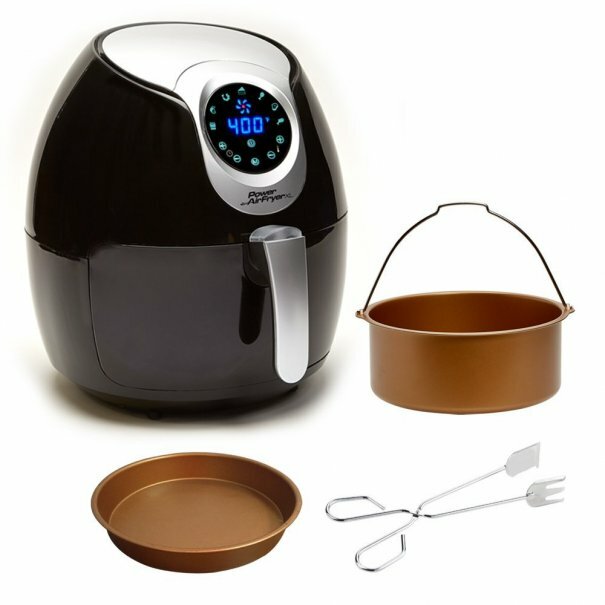 It features a state-of-the-art digital touch screen panel, digital timer with automatic shut-off, easy-load basket with nonstick coating, and cool-touch, easy-grip handle. It has seven preset programs with easy one-touch digital controls for everything from french fries to baked goods. This is available in two colors and several sizes. It is an “As Seen On TV” product that actually lives up to its claims. It is frequently recommended online by sites like Heavy.com and has outstanding reviews. 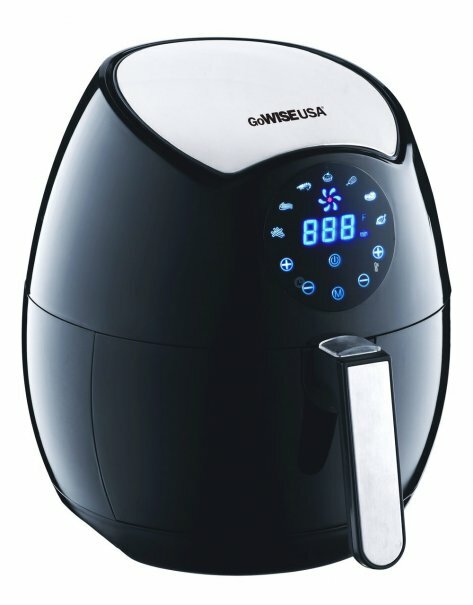 The GoWISE USA 4th Generation Electric Air Fryer uses rapid air circulation technology to circulate hot air around the ingredients. The electric air fryer features 1,400 watts of power, a user-friendly LCD touch-screen to manually program cooking time, and seven preset programs for everything from meat to desserts. The 30-minute cooking timer with automatic standby feature switches the fryer into standby mode once the food is cooked. The wide temperature range allows you to prepare a variety of foods with little to no oil. The detachable pot and basket are also dishwasher safe for easy cleaning. This is available in various colors and sizes. It also includes a recipe book. It is frequently recommended online by sites like Heavy.com and has outstanding reviews, including over 1,000 five-star reviews on Amazon. 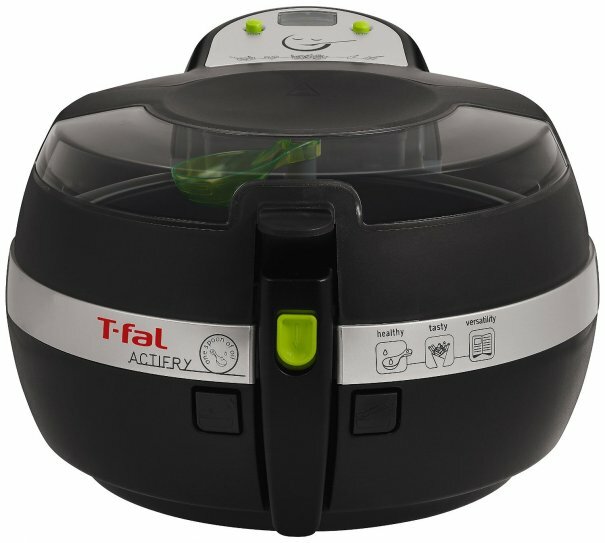 The T-fal ActiFry Low-Fat Healthy AirFryer can easily, evenly cook everything from meat to vegetables, and even desserts. The patented heat pulse system uses optimized hot air circulation to perfectly prepare food with little to no oil. It features a stay-cool exterior, simple on/off switch, large LCD screen, digital countdown timer with buzzer for easy monitoring, and secure, steam-free, transparent lid for splatter-free cooking. Food is cooked thoroughly with no preheating required thanks to the innovative pulse heat system and unique stirring paddle. The removable ceramic nonstick pan, lid, paddle, and tablespoon are also dishwasher safe for easy cleanup. This includes a recipe book, measuring spoon, and filter to minimize odors. It is frequently recommended online by sites like Heavy.com and has outstanding reviews, including more than 500 five-star reviews on Amazon. 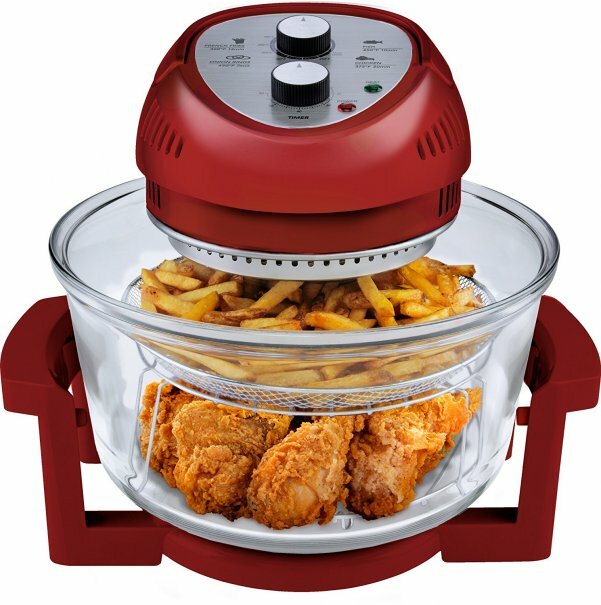 The Big Boss Oil-Less Fryer is suitable for cooking everything from meat to vegetables, and even desserts. The lid's tight seal keeps hot air inside in order to cook up to three times faster using less energy. It quickly cooks food from frozen, with no preheating or defrosting required. The convenient two-tray design can cook multiple foods at the same time. The energy efficient tabletop cooker combines halogen heat, convection, and infrared technology to cook food from the inside out, sealing in juices and evenly distributing the heat for faster cooking. This is available in a range of colors. It has outstanding online reviews, including hundreds of five-star reviews on Amazon. And those are our recommendations for the best air fryers. As always, be sure to check Wise Bread's Buying Calendar to learn when and how to buy just about anything!